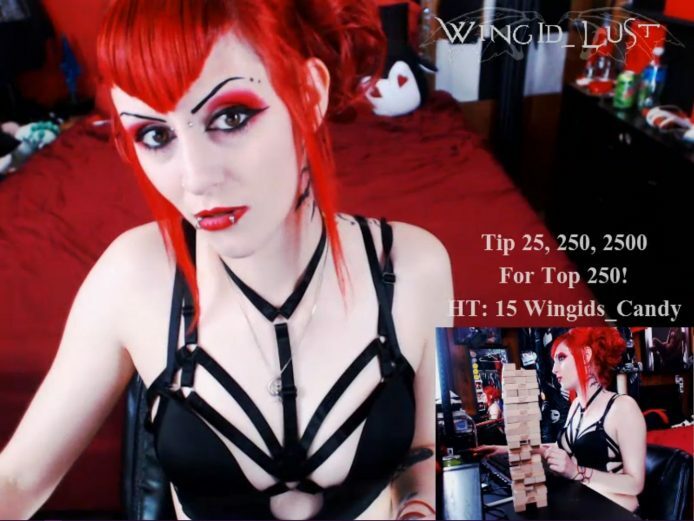 Gorgeous goth gal WingID_Lust is coming to us tonight while looking amazing in all her her gothy glory. 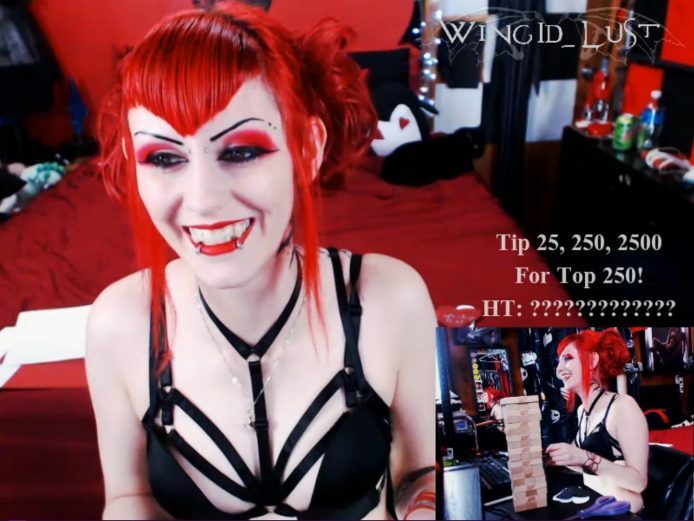 With her red hair and red makeup (and red room), she is sure to catch your eyes and make you stop dead in your tracks to watch her. She is playing Jenga and you can join in to help her do some fun things in her room as she entertains us. Her body is glorious and while she is not naked yet, she will be very soon… sooner if you get into her room and tip her to make those clothes come right off! 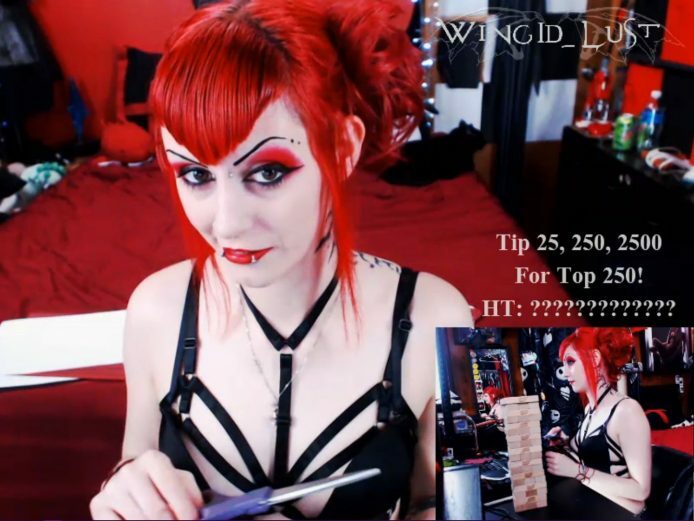 You are going to have the night of your life while watching WingID_Lust and her amazing eyes will cast a spell on you.